I am linking up with some great Teacher bloggers who are sharing this month’s top 3 Pinterest links filled with fun activities to do with the kids. April is shaping up to be a super fun month so let’s jump right in! My first pick is this Earth Day Sensory Bin idea. Kids love hands on activities and this one I know is going to be a big hit! My second pick is a counting activity that involves beans and pots. You can do different variations as well such as review alphabet letters, use the beans to build sight words, CVC words and so much more. My last pick is a great way to show how we can reduce, reuse and recycle. If you are anything like me, you probably have some dried out play-doh still in the container. Clean it out and re-use those containers to have the kids create their own little planter! 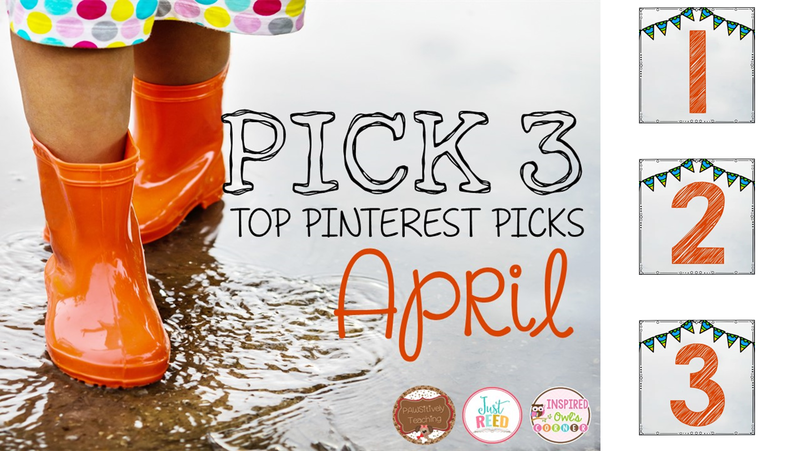 Thanks for reading about my top 3 April themed ideas from Pinterest! If you would like to find some more amazing ideas and pins for April you can visit the sites below. You found some great ideas. I’m having fun reading about everyone’s favorite picks. The play-doh reusable containers are just genius! ❤️ this! This would be an awesome Earth Day Activity! What fabulous picks! Every one is spot on for April. I esp love the sensory bin!! Thanks for linking up with us! You found some great ideas for April! Thanks for linking up and sharing! Great idea with the playdough containers. I have a ton of those! We also use them as water containers when we’re painting. Play Doh planters! Love it!